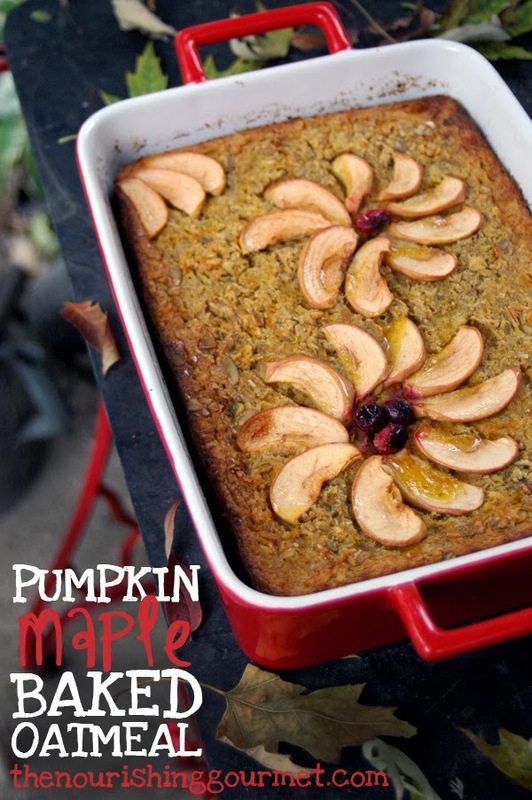 What about starting your day with a spiced pumpkin oatmeal bake, delicately laced with maple syrup and served warm? I don’t know about you, but that would help brace me for the upcoming day. Breakfast is commonly a haste-driven affair of cold cereal, pre-bought baked goods, or frozen waffles. 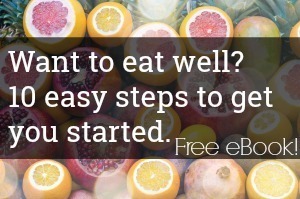 But breakfast can both treat your body – and your wallet – better. We like to enjoy soaked oatmeal, quinoa porridge, and congee for breakfast, for example. I hosted an “Oatmeal Challenge” several years ago on this blog where my family ate oatmeal everyday for a week for breakfast to save us money! My family loves a good baked oatmeal. It’s a frugal, hearty & nourishing way to start off our day… plus, the leftovers make great snacks, warm & cold. Baked oatmeal is awesome for making my mornings easy, especially on busy days or when I need a little extra sleep. I typically like to prep it the night before and my hubby just pops it in the oven early in the morning (wondering how I plan ahead to accomplish that? Read my notes below in the recipe!). This is a great way for my husband to get the kids fed without needing to wake me up. Ahem, yeah, I’m not a morning person! To make this a truly nourishing breakfast… I always soak the rolled oats for 12-24 hours and use nuts or seeds that have been soaked & dehydrated. With everything properly prepared, we can start off our day feeling good instead of feeling like bricks are sitting in our tummies. I like to make baked oatmeal at least once a week and have created a variety of flavors. Our favorites right now are Spiced Cranberry Apple and Strawberry Pineapple. Now, we are adding Pumpkin Maple onto the list of favorites! The comforting combination of fresh pumpkin, maple syrup, pumpkin seeds & cinnamon truly reflect the flavors of Autumn. You will find this baked oatmeal lightly sweet with a kick of cinnamon and vanilla along with a nice hint of pumpkin. Now, this baked oatmeal looks pretty boring when it comes out of the oven. To fix that, just before you bake the oatmeal, decorate the top with some sliced apples and cranberries to make it look festive and yummy! Your family and friends will ‘ooh’ and ‘aah’ all morning when you put that baked oatmeal on the table for breakfast. Be sure to top off your piece with a generous slice of butter and more maple syrup, if desired. Enjoy! Combine rolled oats, choice of acid and water in a big bowl. Cover and let it soak overnight (if using sourdough) or up to 24 hours (using ACV or lemon juice). Morning arrives: Preheat the oven to 375 F. Grease a 9x13 baking dish. Drain oats through a fine sieve. Gently rinse and allow to drain while mixing together the other ingredients. In a large mixing bowl, mix together butter, milk, pumpkin puree, eggs, maple syrup, sea salt, vanilla, spices and pumpkin seeds. Mix until smooth. Add in oats and stir gently. Pour oatmeal mixture into the greased baking dish and smooth out the top. Bake for 45 minutes to 1 hour. It should be golden brown when done. Insert a knife, it should come out with very little crumbles when done. Allow the baked oatmeal to cool for about 10-15 minutes to set before cutting and serving. If you are using ACV or lemon juice, start soaking the oats on Monday night. If using sourdough starter, start soaking the oats on Tuesday morning (you can start it on Monday night, just be warned that the oats will be very sour!). Tuesday night, after the kids are in bed, drain the oats and proceed with the recipe. After you've poured the oatmeal mixture into the greased baking pan (I use glass), cover with plastic wrap. In the morning, take off the plastic wrap and pop the pan into the oven. Turn on the oven (yes, after you've put the pan in... so that glass will warm up with the oven) and when the preheat is done, set the timer for 45 minutes. When timer goes off check the baked oatmeal and add more time if needed. Do you know of a way to make this with plain oat groats or steel cut oats? I have a ton in my bulk storage, but not many rolled oats. Thanks! Could I use Quick Oats in this recipe? Would I still need to soak them? Amber, I would assume not. Quick oats act a lot differently than regular. Hey Amber, Kimi is right… you can’t use quick oats. You would have to adjust the liquids in order for it to cook right. Well, I ended up making it with Quick Oats Nov 2, and it turned out great! I just skipped the oat soaking part and cooked it in half the time. So easy and delicious that I decided to make it while my in-laws are in town next weekend! Thanks for the recipe! Theses are incredible! I will be going out of town for a few days and want to know if they can be frozen. This looks mahvelous! I love that you included the planning and timing tips at the end. The photos are lovely. Thank you Beth! Glad you like the planning and timing tips! Made it this morning with dried cranberries and walnuts – it came out beautifully! I served it with a little plain greek yogurt and a little extra maple syrup. Great recipe and so easy to prepare! Thanks! Wonderful! So glad it came out good 🙂 Oh yes, yogurt is the “cherry on top”… yum! I would like to know to if one could use oat groats instead. I have a lot of that in bulk storage. 🙂 It’s great to know so many of us have bulk storage now a days. It sometimes seems like something of the past. 🙂 Blessings to you all. I made the soaked baked oatmeal to serve tomorrow for breakfast but let it sit out (baked) on my counter for about 4 hours before I remembered to stick it in the fridge to reheat and serve tomorrow. Is it still ok even though it has cooked eggs and milk? Like a muffin, right? Just made this tonight and it came out really squishy in the middle after over an hour in the oven. Not sure where I went wrong. Do the oats need to have the water squeezed out? I let them sit in the colander for about 30 minutes but they still were very wet. Any suggestions? My first thought is the pumpkin. Was it very wet? I know some canned pumpkin can be as well as homemade. I don’t think it was your oats. I have made this several times and it always comes out perfect. Did you add any frozen fruit to the bake? Sometimes that can make baked goods come out mushy.